Flumax - Cats with upper respiratory tract problems can experience painful ulcers and other flu-like symptoms. They are also prone to the development of secondary bacterial infections. 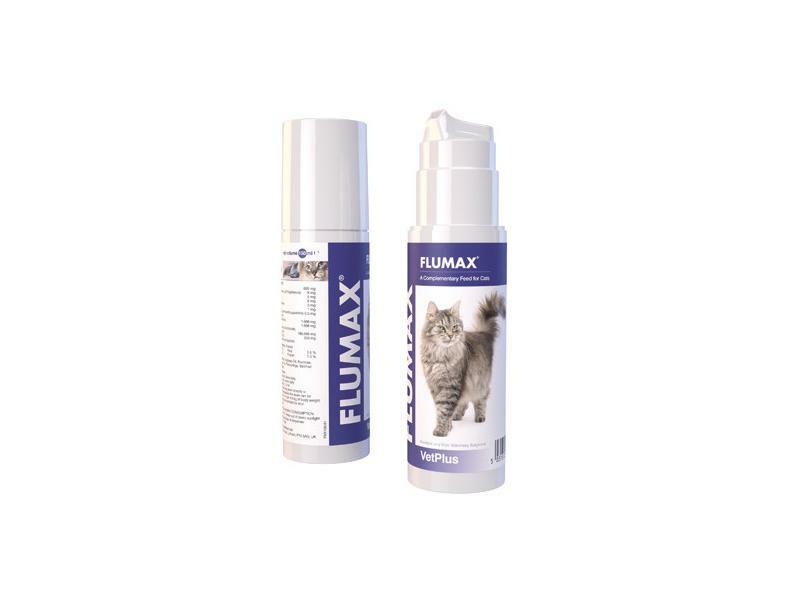 FLUMAX® helps to get your cat back to good health whilst decreasing shedding. Vitamins: Vitamin B3 (Nicotinamide) - 1,666mg, Vitamin B6 (Pyridoxine Hydrochloride) - 1,666mg. Amino acids: Lysine - 166,666mg. Water, Glycerine, Soybean Oil, Flavouring - Xantham Gum, Lecithin, Preservative - Cod Liver Oil. Each pump (1.5ml) can be given directly or added to food. If necessary the dose can be adjusted based on 3ml per 4.5kg cat weight twice daily, or as recommended by your veterinary surgeon. Below are some recent questions we've received regarding Flumax Nutritional Cat Respiratory Supplement, including answers from our team. I am sorry to hear this. Please can you contact [email protected] so we can assist you further. 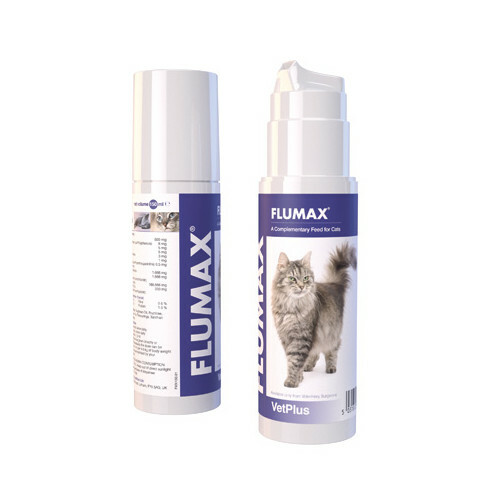 Flumax is a nutritional supplement which is intended to support a cat's own immune defenses against chronic upper respiratory disease. The various factors involved in these infections in different individual cats, mean that it is very unlikely this product will help all affected cats. However it will probably have some effect in some cats and being a very safe product, is probably worth trying as part of the treatment/prevention of flare-ups of symptoms. Essentially it is worth a try. The manufacturer is regarded as a producer of a variety of good quality products which provide nutritional support for animals affected by a number of different conditions.